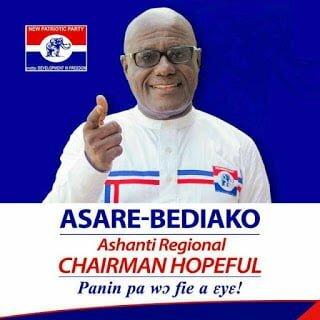 I think the time has come for the NPP to reward Stephen Ayesu Ntim with the position of National Chairman of the party. I have followed closely the activities of Stephen Ntim’s activities and massive contributions to the NPP on both Regional and National levels since the formation of the party in 1992. I remember the regular donations of campaign vehicles to the Brong Ahafo chapter of the NPP since the 1990s. He has also made similar donations to the national level of the party since 1992. Unfortunately, Stephen Ntim has been a serial loser in his numerous attempts to become National Chairman of the party. Inspite of several disappointments, he has not lost hope and is still soldiering on. Stephen Ntim came very close to achieving his objective during his last contest but fate denied him the ultimate prize. If the NPP is looking for a dedicated, loyal and very efficient National Chairman, Stephen Ntim is the answer. I pray and hope that members of the party will vote Stephen Ntim in as National Chairman during the next party elections still the battle is the Lord. 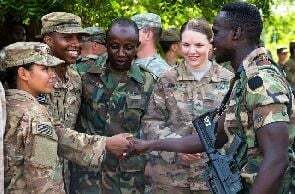 LET US BUILD A STRONGER NPP TOGETHER!. LET US CONSOLIDATE POWER BEYOND 2(TWO) TERMS TOGETHER!! Previous: Appreciation Message by Elected 1st Vice NPP USA. Next: Evangelist Gifty Acquah Mourns Her Late Husband.